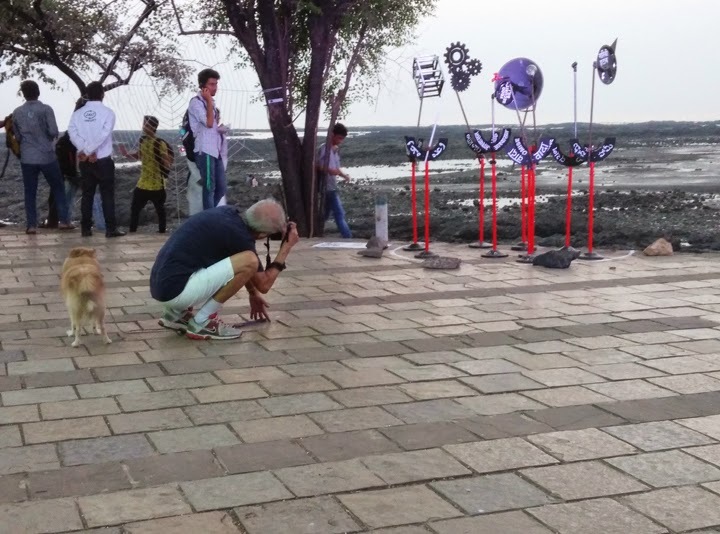 Titled The Great Indian Promises, artist C Ganacharya's installation at Carter Road promenade takes a satirical look at the promises netas have been making election after election since the first Lok Sabha election in 1951. In his installation, the water tap and fan symbolize drinking water and electricity respectively that the successive governments have not taken to every Indian. “Even after 60 years of Independence, the politicians' promises sound same as they had made during the first general election,“ says Ganacharya. “They have sold false dreams and duped the countrymen. I try to highlight this duplicity.“ The word “promise“ is translated in many different Indian languages to emphasise its wide prevelance.